Your first look at the new mystery-romance web series about lonely, broken people and how they fall in love for all the wrong reasons. After the death of his beloved Grammy, a private piano teacher finds his small life exploding upon the arrival of his pregnant heroin-addicted sister and a charming new student with a peppered past in this new queer web series. Spring Street is a mystery-romance series about lonely, broken people damaged by grief, drugs, or a combination of both. And how through it all they come together with the help of music, and then fall in love for all the wrong reasons. In this exclusive clip for OUT, viewers are introduced to the two main characters, Christopher, the piano teacher and his new student Ricardo (played by Giordan Diaz), who are alone together for the first time. The clip was chosen by the shows creator and lead, David Beck, to show how different the two characters' backgrounds are, and how they come from completely opposing worlds but yet there is an immediate and deep attraction. Of course, both characters have an extraordinary amount of baggage (like many of us all searching for love), which makes the need for human contact all the more urgent. 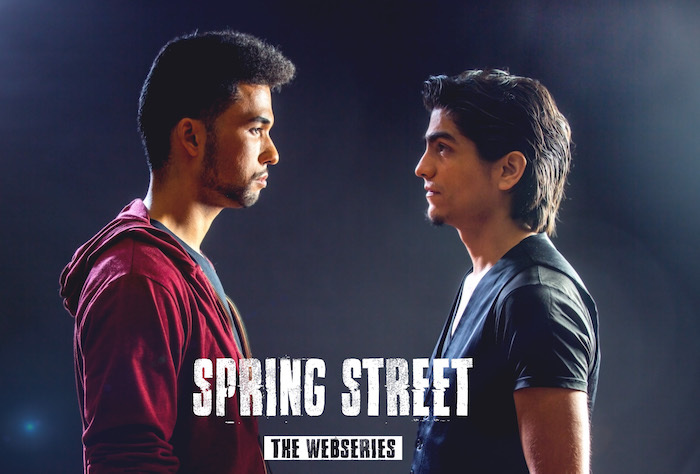 The web series debuts March 17 on springstreetseries.com, as well as YouTube.